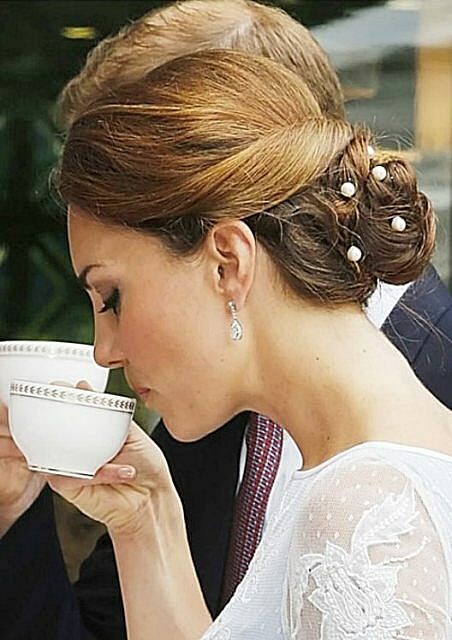 Kate Middleton usually wears her long, thick, brown hair down and loose, but for..
Kate Middleton usually wears her long, thick, brown hair down and loose, but for a special event with Prince William, she opted for a half-up hairdo. The top half of her hair was twisted into a classic ballerina bun and secured at the back of her head. The bottom half was curled to create a sweet, romantic look. This style works best on ladies with thick hair. Kate Middleton is always the picture of perfection. In this photo, her long brown..
Kate Middleton is always the picture of perfection. In this photo, her long brown hair is curled with the top half pulled back neatly with a dainty barrette. This youthful hairdo goes well with her sweet personality and demure manner. 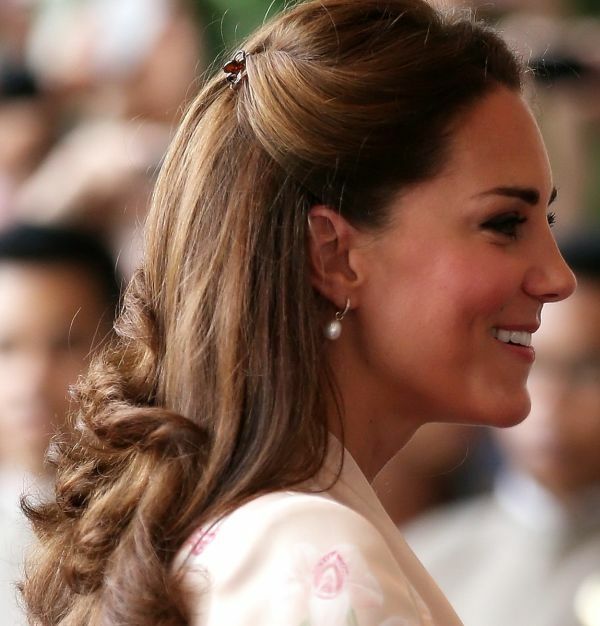 The Duchess of Cambridge looks pretty in a demure ponytail when she attended th.. The Duchess of Cambridge looks pretty in a demure ponytail when she attended the “Mandela: Long Walk to Freedom” premiere at the Odeon Leicester Square in London, England. Straight, soft pieces hang loosely at the sides creating a relaxed effect. Do a mild pouf on top so as not to make the hairstyle too simple. 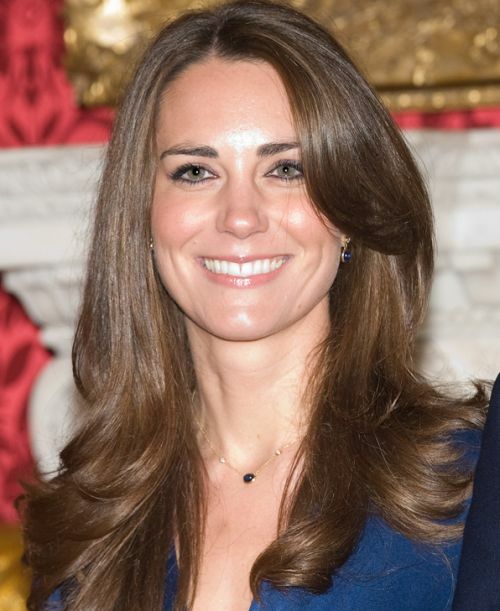 Kate Middleton’s long, straight brown hair is curled at the ends. 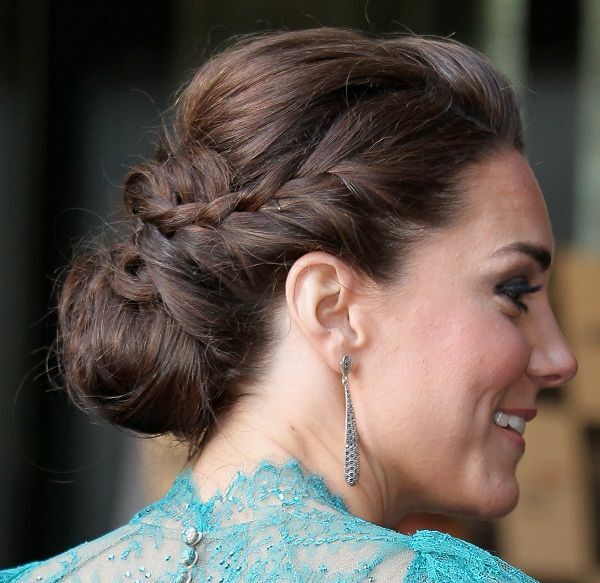 Her side bangs..
Kate Middleton’s long, straight brown hair is curled at the ends. Her side bangs give this classic look a modern flair. 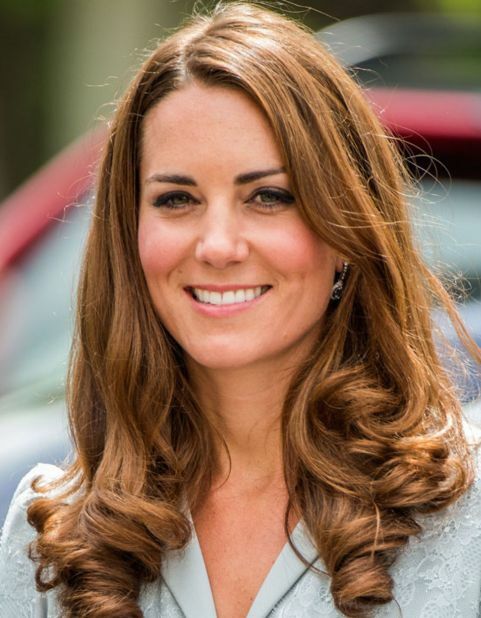 Kate Middleton’s long, thick, brown hair is curled at the ends for a formal occas..
Kate Middleton’s long, thick, brown hair is curled at the ends for a formal occasion. This classic look is very feminine and pretty. See how adding a few sweet touches (pearl hair pins) does to a classic twisted lo..
See how adding a few sweet touches (pearl hair pins) does to a classic twisted low bun hairstyle? Lovely isn’t it? This hairstyle looks tricky, but it’s actually pretty easy to do! Part your hair into two sections; then, twist one side first (left) all the way down to the ends. Create a bun using the twisted left section in the lower middle portion of the back of the head and secure with bobby pins. Twist the other section (right) and coil it around the first bun and secure with pins. Put some hairspray for better hold before adding the pearls.